Start the Party! 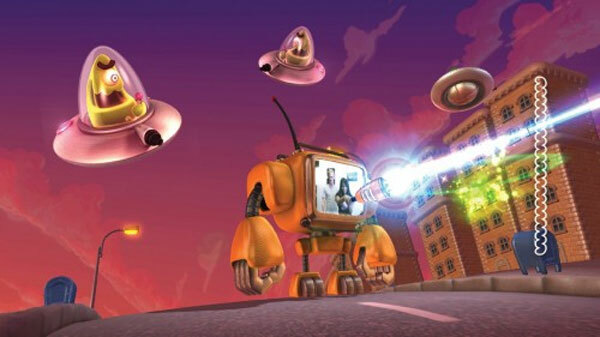 Save the World PS3 Review. Unfortunately Start the Party! Save the World is one of those collection of mini-games that seems a little lacklustre from the get go and doesn't really challenge this genre. 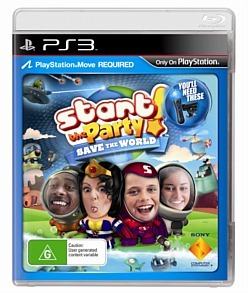 It seems that December is the season of the PlayStation Move and SONY have just released another Move titled with Start the Party! Save the World! 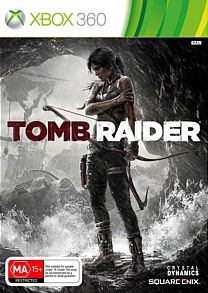 Developed by Supermassive Games, this title is another casual collection of mini-games that offers players the choice of either single or multiplayer gaming. With that said, the PlayStation Move controller and the PlayStation Eye camera is needed to play the title which as we all know is a staple of this genre. The story behind Start the Party! 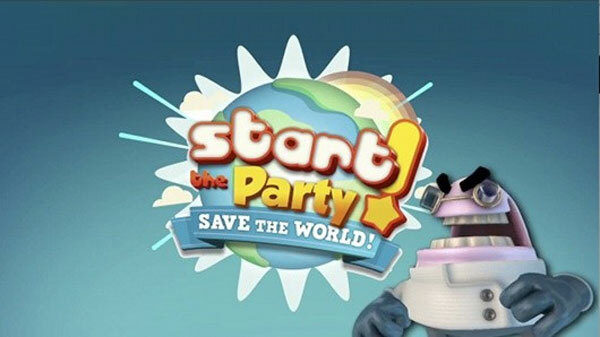 Save the World requires the player to engage in a handful of mini-games in order to defeat the heinous Dr. Terrible (original we know) and his evil minions as they attempt to take over the world. Needless to say, Dr. Terrible is the classic clichéd "casual game" evil scientist villain as players must win these rather easy mini-games to ... <forgive me> Start the Party! Save the World! 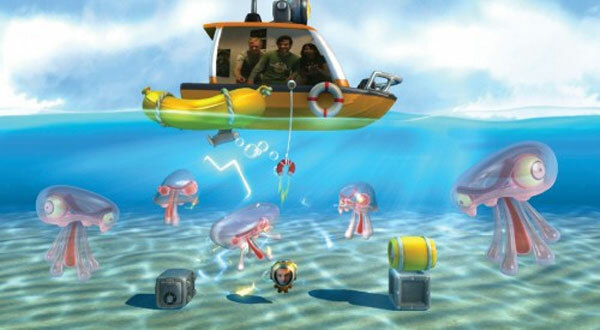 Apart from the snippets of movies, the game also uses a narrator to explain how the players must complete the particular mini-game that are engaged in. The voice acting here is REALLY over the top, however I'm sure younger gamers will get a kick out of it. As with most casual games that rely on mini-games, some are good are some are bad. Start the Party! Save the World is no exception to this tried and tested formula. With around 20 or so mini-games in the title, it's easy to find the ones that work best quite quickly. 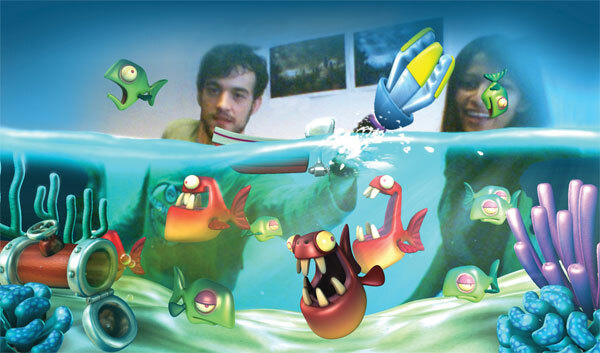 The games are quite diverse such as catching flying fish and shooting alien ships. My favourite mini-game is Caveman Bounce which is a little reminiscent of Defender but reversed. In this game, pterodactyls drop cavemen from the sky and your goal is draw clouds beneath to bounce them back into their caves. All in all, Start the Party! Save the World! uses the classic mini-game formula and unfortunately does become a little repetitive with the only real replay value being the high scores or playing with other players. In reference to multiplayer modes, the title contains two modes that include Quick Fire or Group Play. With up to four players available in multiplayer, some of these modes includes timers, pass the move controller and traditional mini-game experiences with high scores being the key for competitive players. You can use the DualShock controller for multiplayer but eww... developers should stop relying on the DualShock for Move games! 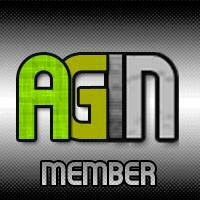 Graphics are actually okay for a mini-game as are the sound effects and the over the top sound effects. Unfortunately the gaming modes are absent for the majority of the game. Unfortunately Start the Party! Save the World is one of those collection of mini-games that seems a little lacklustre from the get go and doesn't really challenge this genre. The developers need to understand that just because they are using the Move controller, doesn't mean the game is going to be any good if there is no clever gaming mechanics. Even worse is that Start the Party! Save the World has too many mediocre games than good games but where it does work is through its drawing mechanics that actually make the games that work well quite fun to play. I know if I was a kid and was offered this or Little Big Planet, I know which one I would choose! Definitely for the younger gamer but even they may get a tad bored.